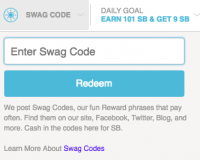 Swagbucks is a cash back app that rewards you with money for your online activities. These rewards are paid in the form of a digital currency called Swagbucks or “SB” for short. You can earn SB by watching videos, taking surveys, playing games, or shopping online. The app is owned by a Los Angeles-based company called Prodege, which also operates MyPoints, ShopatHome and MyGiftCardsPlus. I’ve been earning money through Swagbucks for a couple years and will share the fastest way to make $50-$200 per month without much effort. Swagbucks makes their money mostly as an affiliate that drives traffic, activity or purchases for other companies. These companies then pay a fee to Swagbucks in exchange for getting their brand in front of a new audience. These advertisers could be looking for their surveys to be filled out, their videos to be watched, visits to their website, trial subscriptions or actual online sales. What this means for you is that by taking actions through the Swagbucks site, you are rewarded in a digital currency called Swagbucks, or SB. Every time you answer a survey, watch video playlists, enter a bonus code, buy products from one of their affiliate partners, or take one of a number of other actions, you get SB added to your account. There are a ton of ways that they offer to earn SB, which we’ll get into later. When you have collected SB and want to redeem them, you have a lot of options. They offer gift cards that you can purchase and will receive digital codes to use online at those retailers. These include retailers like Amazon, Walmart and Starbucks as well as everything from charitable donations to cash money. I choose to redeem my SB for Paypal since I can then transfer to my bank account and withdraw it as cash. You can redeem when you have collected just a few dollars. Understanding how much your SB is worth is easy. It is $1 for 100 SB, so if you have 2500 SB, that can translate to $25. Each SB is equivalent to $.01 in US dollars. They do sometimes run promotions where you get discounts on certain gift cards. For instance, they typically have a $25 Amazon gift card available for 2200 SB, or just $22. The first question that I see asked most frequently is if Swagbucks is legit or a scam. It is not the type of website where you will make thousands of dollars quickly, but it is indeed legit. I have personally earned over $1,200 in Swagbucks that I have cashed in for Amazon gift cards and Paypal gift cards. I believe that most people who think Swagbucks is a scam are either starting with the expectation that they will get rich using it, or they are worried that they will not legitimately get paid for what they earn. My conclusion is that if you have the expectation of making $25-$100 per month consistently through Swagbucks, you can do it pretty easily and you will get paid. It is very easy to get started with Swagbucks. You simply sign up for an account at Swagbucks.com. If you use any of the links in this post, you’ll get a $3 bonus for signing up, which is enough to immediately cash out for an Amazon gift card. They will ask for some basic information like your name, email and address so they can verify reward payouts and know that you are a real person. It takes about 2-3 minutes to sign up. Once you are signed up, you can immediately start earning SB. Depending on your available free time and priorities, you can figure out the best way to make SB fast. I’ll walk through the different ways you can earn SB, then I’ll give you my blueprint for the easiest way to earn Swagbucks. In my opinion, this is the best way to earn SB fast. Basically, when you watch videos and the ads in between them, you get rewarded a certain number of SB. They have a number of different ways to do this and the payouts vary for each of them. Typically, you can earn between 1 and 5 SB for watching a video playlist or a series of videos in a sequence, which takes between 30 seconds and 10 minutes. It’s not a huge payout each time, so you will want to make sure that you are being efficient with which video playlists you choose to watch. The Watch section of Swagbucks.com lets you choose between regular playlists, nCrave videos or sponsored videos. Video playlists are between 5 and 20 minutes and pay between 1 and 3 SB (1-3 cents). I usually don’t watch these because they take a lot of time to earn money. 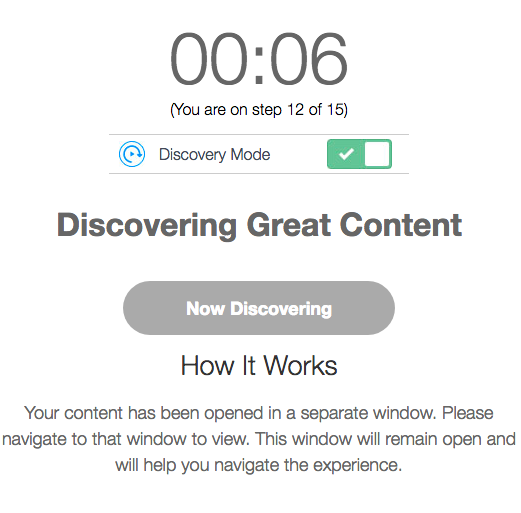 nCrave activities include a lot of playlists that will automatically advance and keep the videos going even if you don’t have that window open. They have reduced the number of these recently and sometimes require you to have the window viewable to get credit, but you can test and usually find a few that allow you to play the videos while doing other activities on your computer. I find these playlists, then open them and let them run in the background while I do other things. In fact, I have earned about $0.50 while writing this post. If you do this consistently, you can plan to earn a couple dollars per day. You will definitely want to find the videos that don’t require you to actively watch. Otherwise, you are going to make less than $1 per hour and you can’t multitask. Sponsored Videos open in a separate window and usually take between 30 seconds and 2:00 to earn 2 SB. Again, not huge money, but you can do this while you have nCrave and other video playlists running. These usually only let you watch 5-10 of them, but it’s a pretty easy $.10-$.20 while you are doing other things on your computer. Mobile Video Apps: The other great way to earn SB fast is to download their mobile apps and watch videos on your phone or tablet. These apps include the Swagbucks App, Swagbucks Watch, EntertainNow, Lifestylz, and Sportly. Each of these apps will let you earn at least 10 SB per day and you can let the videos run without actually watching them. If I’m not using my phone, I will just put on a video playlist (when on Wi-Fi) and let it earn for me. That’s an easy $.50-$1.00 per day for doing nothing. Completing surveys on Swagbucks is also one of the best ways to make money fast. They offer surveys that range between 1-2 minutes and 15-20 minutes and usually pay between 5 SB and 150 SB. A typical survey will take you about 5-10 minutes and earn you 100 SB ($1). As you take more surveys, you can get to know which ones are most efficient for you. Some of the surveys will disqualify you if you don’t meet their criteria, but it happens less on Swagbucks than other sites, and they actually give you 1 SB if you are disqualified. You can take surveys through the mobile app or desktop site. I usually do this while waiting in lines, killing time, or sitting in front of the TV. I’ve written about Swagbucks surveys in the past, so you can check out that post to learn more. Earning cash back with Swagbucks is similar to shopping apps like Ebates, Ibotta, ShopatHome and others. When you are going to make an online purchase, you can go through their site and click the link to the site where you are shopping, then you will get SB credited for whatever you purchase. This works for dozens of retailers including Amazon, Walmart, Target, Home Depot and more. The amount you get back ranges from 1% – 15%, but is usually around 2-4% for most retailers. Obviously, you have to make purchases to earn money this way, so I wouldn’t change your habits. But, if you are planning to buy something at say, Target or Best Buy, clicking through the link on Swagbucks first and buying it online can save you some money. 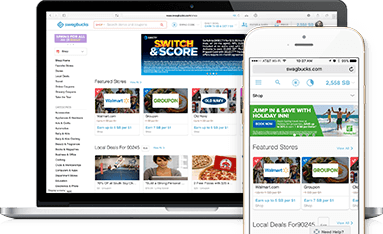 Swagbucks also offers “Swagbucks Local” which lets you link a credit or debit card and get in-store cash back at restaurants and stores. You can get instant cash back for completing offers from Swagbucks’ affiliate partners, many of which don’t require a payment. These range from $1 to sign up for free samples to $7 to download an app to $21 to start a trial with Hulu. You can make decent money just signing up for these and cancelling later, as long as you don’t mind sharing your information with these companies. Swag codes are instant codes that you can redeem for SB. They will typically get you just a few cents, but it’s as simple as a copy/paste in your browser or mobile app. You can find Swag Codes a few times a day through their social channels, app notifications, or by installing the Swag button on your browser (which also gives you a bonus). Please make sure you understand this…DON’T pay money to play the games on Swagbucks. If it requires buying tokens, paying to download or sign up, or anything requiring payment, don’t do it. That said, there are a few free games that pay you to play on Swagbucks. If you play Swagasaurus Run, Swag Jump, or Swag Memory, you can earn 10 SB per day. One thing you will probably run into is that the games pay you at seemingly random intervals, so you won’t get paid every time. You can hack this a bit though. For example, with Swagasaurus Run, if you play a game, leave the window open for about 20 seconds, then play a second game, it will pay you 2 SB. Do this 5 times in a row and you’ll have your daily max quickly. This is an easy one. When you share your unique Swagbucks referral URL, you and your friend will both receive 300 SB when they sign up. The best part of the Swagbucks referral bonus is that you also get 10% of their lifetime earnings. So if they earn 100 SB per day, you will get $.10 each day as long as they keep using Swagbucks. Pretty sweet deal! My referral URL is swagbucks.com/refer/scottyp124 if you feel like signing up now and helping out Stealthy and Wealthy. Bonus Item: Sign up for Paribus – 700 SB – I have written before about Paribus and love it. Plus, Swagbucks will give you $7 for signing up. Bonus Item: Play SwagIQ – Like HQ Trivia, but paid in SB and giving you SB bonuses for getting answers right, even if you don’t win the grand prize. There you have it. In two days, you can make your first $10 with Swagbucks with about an hour of effort. Once you start doing this, you’ll find which activities are easiest and fastest for you, so you can continue to do them in the days after. If you continue steps 3-10 every day, that adds up to over $100 per month in extra income. I’ve emphasized the key to multitasking to increase your earning potential with Swagbucks. Another trick you can use to multiply this is to use other apps like Swagbucks at the same time. For instance, you can watch one video on Swagbucks in one window, one Perk.tv in another window and another in MyPoints at the same time. This basically triples your earning potential. These sites and apps that are similar to Swagbucks will allow you to do just that. MyPoints – almost identical to Swagbucks and allows you to earn in nearly all of the same ways. You can pretty much double up your earnings by doing the same things in MyPoints. ShopatHome – focuses mostly on cash back for shopping and has less ways to earn than Swagbucks. Ebates – I think this is the best cash back shopping app out there, but it doesn’t offer the ability to earn in ways other than shopping. Perk.tv – get rewarded for watching videos. Doesn’t pay as much as Swagbucks, but is very easy to use on desktop or mobile. InboxDollars – pays you to watch videos, take surveys, click emails and search the web.